These schools are recognized either for exceptional student performance overall, or for significantly closing the achievement gap between student groups. The schools are selected for national recognition by their State Departments of Education based on state-determined criteria, such as use of research-based instructional strategies, implementation of sustained research-based professional development, or established partnerships with parents, families and the community. 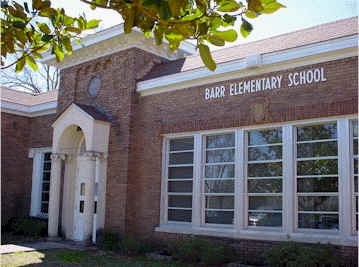 So congratulations to Principal Candra Nelson and the rest of the faculty and staff at Barr Elementary. Education is definitely the first step to a resurgent West Jackson. If you have time, also make sure to read this Clarion Ledger article on Barr by reporter Marquita Brown. One of the good guys. Period. fortunate for doing so. I believe that this is a very impressive blog you have here! your post:”Barr Elementary School receives national honor “? ?